Arrangements were entrusted to Valhalla Funeral Home of Huntsville AL. Walter Sampson Richardson, 64, passed away on Tuesday, March 11, 2014 surrounded by the love of his family. He sees dimly no longer, he sees face to face. He knows fully and is fully known by the Lord. He is predeceased by his parents Rev. Jarrett Wood Henry Richardson, Jr. and Dr. Margaret Sampson Richardson. Walter is survived by his devoted wife of 41 years; Gwendolyn Richardson, and his adoring children; Heather Stone, Matthew Richardson, Margaret Richardson, and Austin Richardson; son-in-law, Israel Stone; daughter-in-law, Jessica Richardson, and daughter-in-law Haley Richardson. Walter was devoted to his six grandchildren; Tristan, Rowan and Greyson Richardson, Gwynda and Varissa Stone, and Walker Sampson Richardson. Walter was a missionary kid (MK) born and raised in Nigeria, Africa. He was proud of his missionary kid roots and learned a passion for travel at an early age. This passion for travel led to his career as a commercial airline pilot. 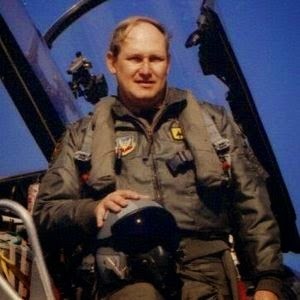 He flew for Delta Airlines for 26 years and retired as a well-respected Captain. He also served in the United States Air Force on active duty from 1972-1977. He then served Alabama National Reserves for 15 years. Walter loved to fly airplanes. Walter also loved Auburn University football. He was a proud graduate of Auburn University with a degree in Industrial Engineering. He also met the love of his life, Gwen while they both attended Auburn. Their first date was to the Auburn-Alabama football game. He relished seeing Auburn beat Alabama one last time this past fall! War Eagle! Walter also enjoyed spending time outdoors hunting and fly-fishing. He was a Godly and loving man as well as a devoted husband, father and grandfather. He was known for his gentle spirit and servant's heart. His greatest pleasure in life was caring for others, especially for his dearly loved family. He made the world a better place just by being in it. He will be greatly missed! Nigeria Faithful Works, Inc. Saki Water project or general contribution, 2513 Buckingham Drive, Heath, TX 75032- www.nigeriafaithful.org. This is a 501c3 organization.